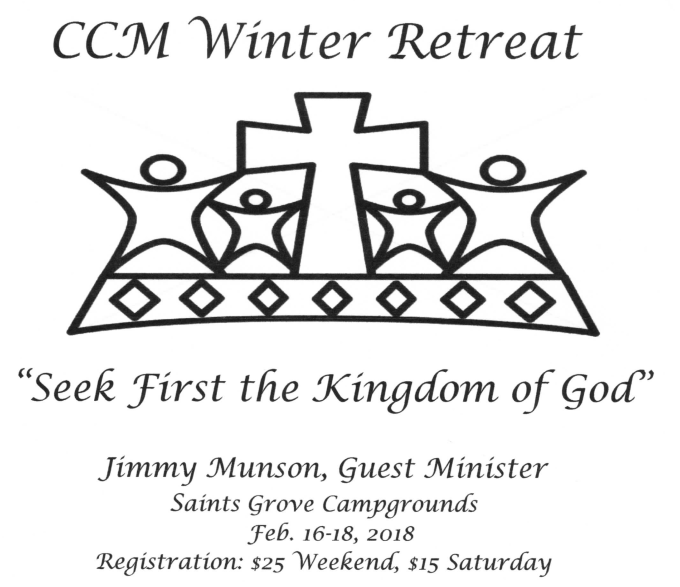 CCM's annual Winter Retreat will be held at Saints Grove Campgrounds February 16-18, 2018. Guest Ministry will be provided by Jimmy Munson. Ages 18 and up are invited to attend this spirit-filled weekend! No childcare will be provided. For more information about costs and how to register, please download the Winter Retreat Flyer below. Registration due by February 9th.